Venezuela’s armed forces have reportedly redeployed additional S-300 missile batteries to military facilities near the capital Caracas to provide full coverage against potential air strikes, in response to a perceived threat of attack from the United States. The air defence missile batteries, command centres and radars were deployed to the Captain Manuel Rios Airbase. Venezuela currently operates several units of the S-300VM surface to air missile system, the second most advanced S-300 variant after the S-300V4, which is particularly specialised in intercepting ballistic and cruise missile attacks. 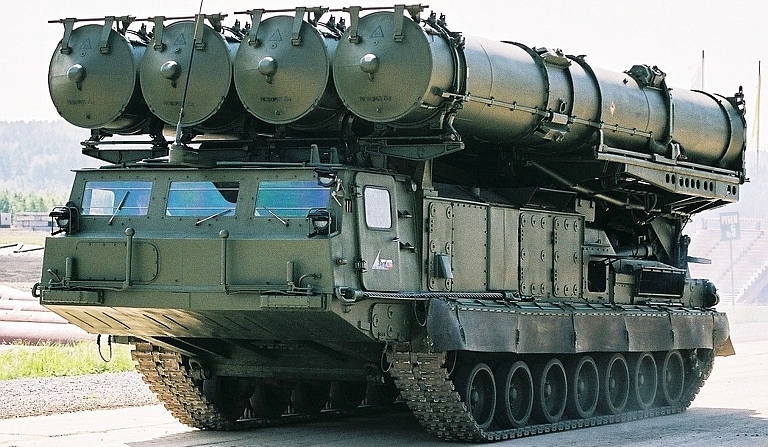 The platform is designed to prioritise high mobility, and makes use of tracked MT-T launch vehicles allowing it to operate off road – providing superior survivability to variants from the S-300P family such as the S-300PMU-2 recently sold to Syria. Mobile transporter erector radars are also used to maximise mobility, and the system’s passively scanned array radar systems used for target acquisition make use of autonomous search capabilities. The S-300VM’s electronic warfare countermeasures are comparable in their sophistication to those of the S-400, and missiles retain an engagement range of 250km. The platform is capable of engaging up to 24 targets simultaneously, and can engage low observable or stealth targets at intermediate ranges. The S-300VM is arguably the Venezuelan military’s most powerful deterrent against a potential U.S. attack, and represents a capability several generations ahead of anything a Western military has ever had to engage in the field. Unlike Syria, which from late 2018 deployed the less sophisticated S-300PMU-2, Venezuela’s more advanced air defence system is also supported by high end air to air capabilities – namely the Su-30MK2 air superiority fighters which are among the most capable of their kind in the world. 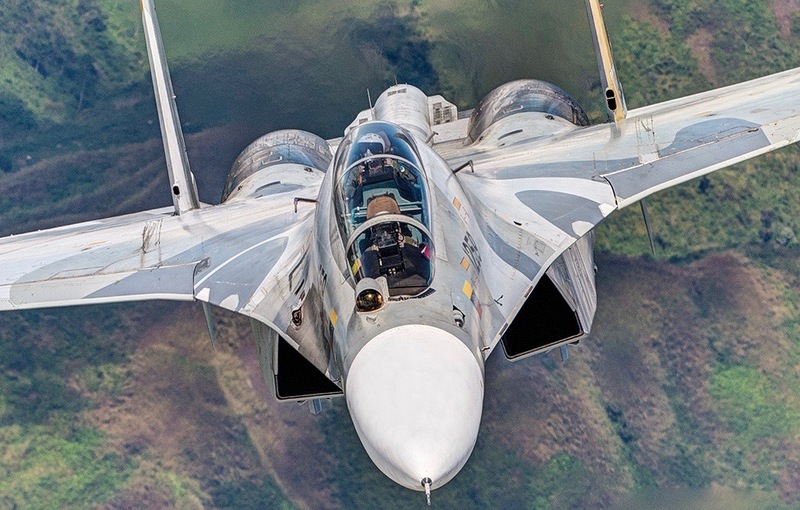 The fighters allow the Venezuelan military to pursue enemy targets beyond the range of its air defences, thus providing the ability to engage U.S. bombers and strike fighters deploying standoff munitions from beyond the range of the S-300VM. The air to air engagement range of these fighters, which have been equipped with R-27ER and R-27ET missiles, is 130km. Venezuela’s multi layered air defence network, which also includes complementary shorter ranged surface to air missile systems such as the BuK-M2 and S-125, presents a credible challenge to the U.S. Military which is set to factor considerably into Washington’s decision making regarding potential military action. The presence of Russian military personnel on the ground, who have reportedly trained Su-30 pilots and air defence crews to a high standard and may well be operating some of their equipment alongside them, further increases the risks for the United States should it attempt an attack. The USA will continue instead to foment discord within Venezuela by shutting down various functions in their power grids along with many other economic measures meant to inflict harm to all citizens of Venezuela. I hope China and Russia will help Venezuela counter these various passive-aggressive USA combat strategies. Russia is helping Venezuela publicly, with various imported products such as medicines. I know both Russia and China are present in Venezuela right now investing and constructing various infrastructure facilities, including increasing ocean shipping capabilities, for various energy products (oil / gas / naptha / etc.). I think the USA has met its match at last. If it doesn’t recognize that it doesn’t own the Western Hemisphere, we’re all in trouble (we’re all in trouble).